Setting retail policies and procedures identifies the way a retail establishment operates on a daily basis. Establishing retail policies and procedures should provide employees and customers with definitive solutions to problems. Every retail establishment must have policies and procedures that are well-documented for employees and customers. Policies and procedures that pertain to refunds, returns and exchanges should be posted at all point-of-sale terminals. Retail establishments must also have policies and procedures specifically for vendors. Document exactly a job description for each available position. Include full-time and part-time retail sales positions, management, accounting, dock workers and security. Identify the salary range for each position as well as the qualifications required of each candidate. Determine exactly under what circumstances an employee will be terminated and what the termination steps will be. An example would be employees who report to work late more than four times per month will be terminated after one verbal warning and one written warning. Write and distribute employment manuals for all retail employees that identify exactly what is expected from each employee. Require each employ to sign a document that verifies that the employee has read and understands all of the policies and procedures in the employment manual. Counting inventory is an important part of any retail operation. The policies and procedures that determine how inventory is counted and reported are essential. Identifying inventory dates, times of day and what equipment will be used must be included in the policy and procedure of the retail establishment. 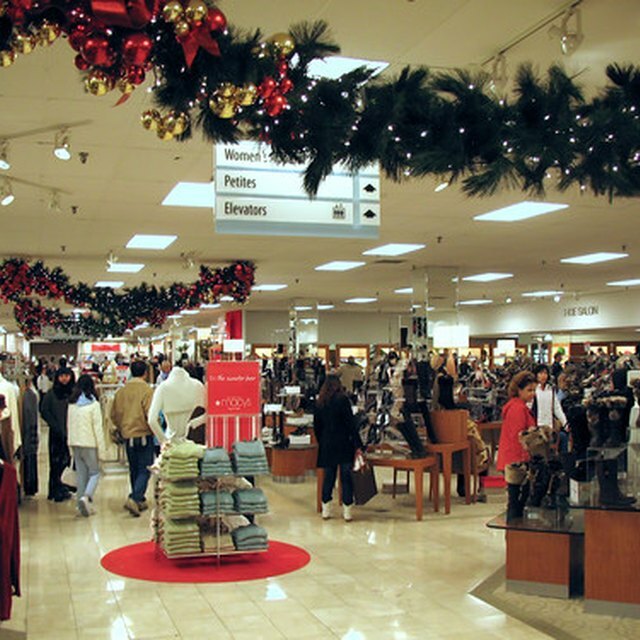 Conducting an annual inventory, generally at the end of each calendar year, is a procedure followed by many large retail organizations such as department-store chains. Preventing loss due to theft is a major concern for most retail establishments. Policies and procedures that determine how employees and customers are monitored must be well-documented. Searching and monitoring employee packages must be part of the conditions of employment policy. Documented policies and procedures that involve alleged shoplifting by a customer must be in place to protect the rights of the customer and limit the liability of the retail establishment. Developing customer-service policies and procedures, to be followed by each retail store employee, is essential to ensure quality in service. Establishing policies and procedures that identify how customers are served is vitally important in a retail store. Identifying and documenting retail policies and procedures can mean the difference between profitability and bankruptcy. Retail stores are extremely vulnerable to lawsuits with significant financial consequences.